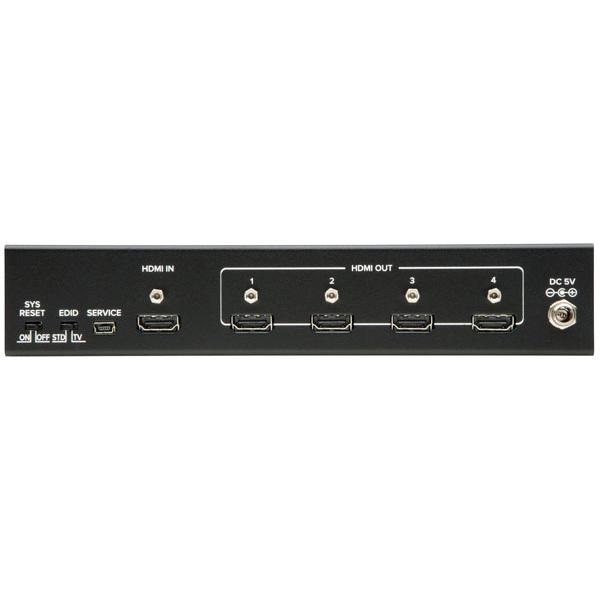 1T-DA-674 HDMI Distribution Amplifier Provides 4 independent outputs from a single HDMI input for distribution to devices capable of receiving and/or displaying such signals. 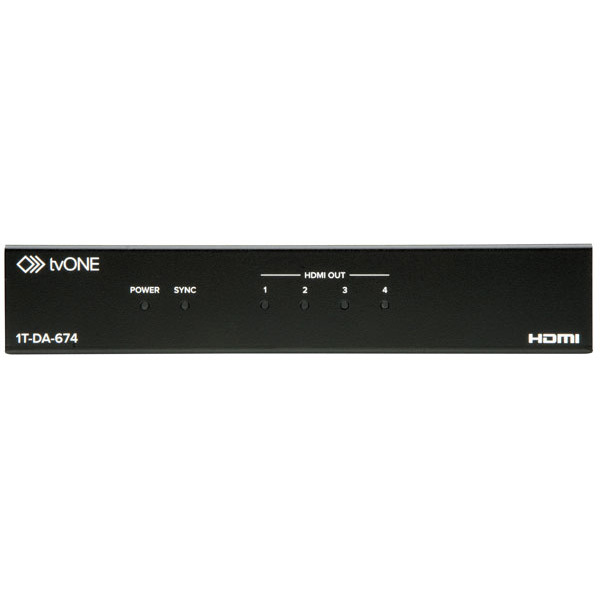 The product is compatible with HDMI v1.4 specifications; a cutting-edge technology that supports Deep Colour (10-bit and 12-bit) video in addition to 3D video resolutions (Frame Packing, Side by Side). SDTV resolutions 480i/576i, HDTV resolutions to 1080p and UHD 4k resolutions to 4096x2160@24Hz are also supported along with the HDCP standard. 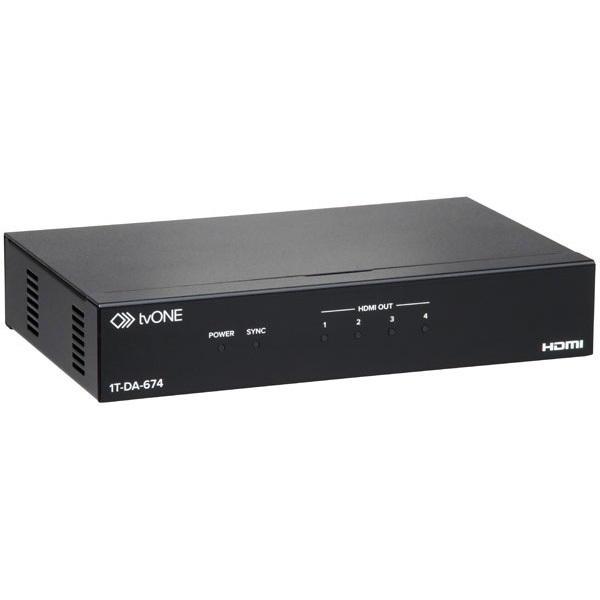 In addition, the HDMI DA exhibits high bandwidth (up to 300MHz - 9Gbps) and provides signal amplification and equalization for high performance processing of audio and video allowing signals to travel great distances without quality loss. DVI 1.0 format is supported (using cable adapters) and the product provides automatic discovery of monitor EDID. A screw on power adapter cable prevents inadvertent disconnection of power and, as a bonus feature; all HDMI outputs can be cascaded.